It appears that Senate Republicans managed to make a $289 billion or so mistake while furiously hand-scribbling edits onto the tax bill they passed in the wee hours of Saturday morning. The problem involves the corporate alternative minimum tax, which the GOP initially planned to repeal, but tossed back into their stew at the last second in order to raise some desperately needed revenue. The AMT is basically a parallel tax code meant to prevent companies from zeroing out their IRS bills. It doesn’t allow businesses to take as many tax breaks but, in theory, is also supposed to have a lower rate. Except not under the Senate bill. 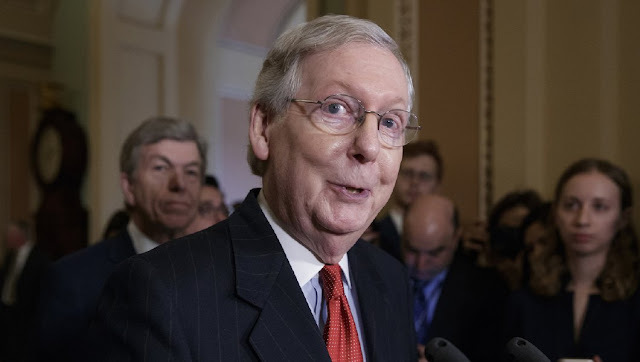 When Mitch McConnell & Co. revived the AMT, they absentmindedly left it at its current rate of 20 percent, the same as the new, lower rate of the corporate income tax that the bill included. As a result, many companies won’t be able to use tax breaks that were supposed to be preserved in the legislation, including the extremely popular credit for research and development costs. Corporate accountants started freaking out about this over the weekend, but the situation reached high farce when a group of lawyers from Davis Polk pointed out that, by leaving the AMT intact, Republicans had essentially undermined their bill’s most important changes to the international tax code. [T]his mammoth screw-up will make it harder for the House to simply pass the Senate’s bill if the GOP’s conference committee hits a wall. Republicans have to enact something that fixes this, lest they tick off the very donors this legislation was meant to appease. A quarter trillion here, a quarter trillion there, and before you know it, you're talking real money. [not said by Everett Dirksen]. Yes - and the Senate bill now goes to a next step - called "reconciliation" - whereby the House and Senate versions of the bill are negotiated (and adjusted/corrected) to produce a final, consensus document, to be sent to the White House for Presidential signature - at which point the new "law" becomes enacted. For this website to "whine" (like a spoiled brat infant) about the precise wording of a draft document - that will be AGGRESSIVELY challenged and vetted during the reconciliation process - is either a display of gross ignorance, or a gross misrepresentation of reality - i.e. it is "fake news." 2) Against Bitcoin - whose market capitalization value exceeds the GDP of Vietnam, and is poised to exceed the GDP of Finland. Robert - you need to reexamine your fixations - and better adjust to reality - over your preconceptions. With apologies, RW, this points out weaknesses to the "Capitalism Breathes Through Loopholes" argument. Perhaps as long as the Loopholes are "small" with the understanding that the Bribes contained therein allow certain friends to prosper "Just a Little" (Outside of Patent Law, mebbe),"Loopholes" become massive Crony Capitalism. This is just Ugliness. It cannot be justified - although it will be - and I suspect we will find more "Accidents" as the Reconciliation Process continues. Better to offer "Tax Reform" based on Principle (Free Market Principle) rather than this!